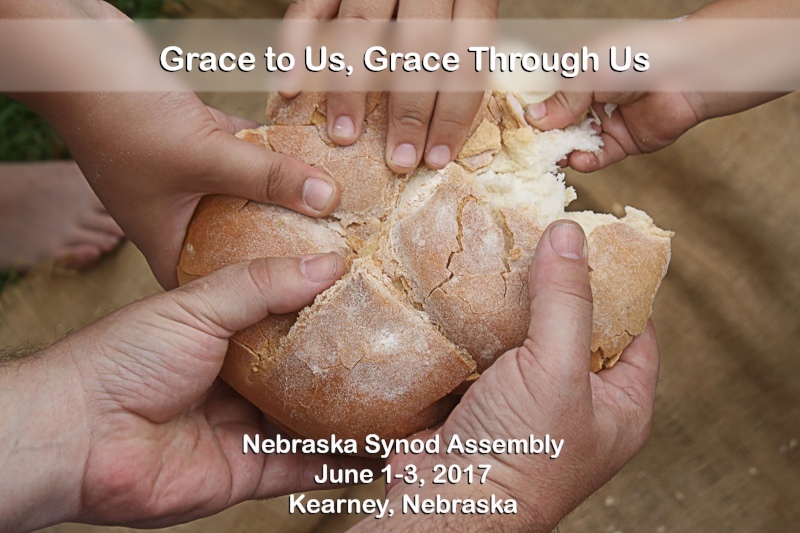 The 2017 Nebraska Synod Assembly: Grace to Us, Grace Through Us was held June 1-3, 2017, at the Younes Conference Center in Kearney. 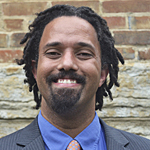 Dr. Anthony Bateza, the Assembly's keynote speaker, is a specialist in Martin Luther and Christian ethics and is currently on faculty at St. Olaf College. Dr. Bateza's research examines Luther's understanding of human agency and his relationship with virtue tradition. His other scholarly interests include the broader Augustinian tradition, the impact of Luther's thought on 19th century philosophy, and questions of race, identity and social justice. Presiding Bishop Elizabeth Eaton was elected as the ELCA’s fourth presiding bishop at the 2013 ELCA Churchwide Assembly. Bishop Eaton earned a Master of Divinity degree from Harvard Divinity School and a Bachelor of Music Education from the College of Wooster. Ordained in 1981, Eaton served three different congregations in Ohio as assistant pastor, interim pastor and pastor before being elected bishop of the ELCA Northeastern Ohio Synod in 2006 and re-elected in May 2013. Jonathan Rundman has been writing songs and performing across the country since he was 18 years old. He emerged on the national music scene as a Chicago-based touring artist, generating rave reviews in Billboard, the New York Times, Performing Songwriter, Paste, and countless regional publications. Now living in Minneapolis, he continues to tour and record. Jonathan's songs can be heard on radio stations across America, in Scandinavia and England, and have been featured on television's Ellen Degeneres Show and CBS This Morning. 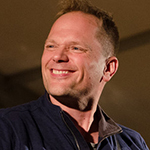 He has performed live on NPR's Mountain Stage Radio Show, and on Iowa Public Television. Get AMPed (10:00-4:00) - This event is aimed at encouraging us to advocate for those without a voice, motivating us to reach out to our neighbors in need, and inspiring us to participate in efforts that live out our call to love one another in our communities. The event will feature: (1) the Rev. Dr. Tony Campolo, noted pastor, scholar, and founder of Red-Letter Christians; (2) a workshop about AMMPARO, the ELCA’s initiative on Accompanying Migrant Minors with Protection, Advocacy, Representation and Opportunities, led by Mary Campbell and Alaide Ibarra from the ELCA; and (3) opportunities to network with other Christians passionate about justice, global mission, and hunger/poverty ministries. Get AMPed is open to all with an interest and passion in social justice. Lunch is included. Faith, Sexism, Justice (1:00-4:00) - Responding to a call from the 2009 Churchwide Assembly, an ELCA task force is leading a process of developing a social statement regarding issues affecting women entitled “Faith, Sexism, Justice.” Join Diane Brauer for a time of conversation and listening to each other about these issues and the process that the church is undertaking to address them. Transitional Ministry (1:00-4:00) - Join us for conversations with transitional pastors and Synod staff about the life of the church in times of transition. 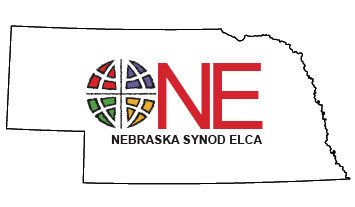 This workshop will focus on how transitional pastors, congregations, the Synod, and the ELCA work and partner together to make the interim time a healthy and productive experience for all involved. Stewardship for All Seasons (1:00-4:00) - Now is the time to finalize plans for your congregation’s 2017-2018 stewardship year. At this workshop we’ll plan together, share resources, and plan the year ahead. Whether your congregation focuses on stewardship for just one Sunday, or year-round, we’ll plan, dream, discern, and vision together. During registration please indicate if your congregation currently has a stewardship emphasis one week of the year, one month of the year, year-round, something else, or nothing at all, so that we can best learn, plan, and create together. This workshop will be facilitated by Nebraska Synod Director for Stewardship, Deacon Timothy Siburg. Partners in Ministry Banquet (5:00-7:30) - The annual Partners in Ministry Banquet will honor those who have served the church and lift up the many ministries of the Nebraska Synod that help us live out God's call. The Rev. Dr. Tony Campolo, noted pastor, scholar, and founder of Red-Letter Christians will be the keynote speaker. 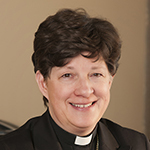 Late Night with Liz (8pm)- Join hosts Adam White and Karen Melang for an evening of conversation and laughs as we get to know Presiding Bishop Elizabeth Eaton. This event also features special musical guest Jonathan Rundman. Earlybird registration at a rate of $175 for voting members and $125 for qualifying discounted voting members and nonvoting visitors is open until March 17. Regular registration at a rate of $225 for voting members and $175 for qualifying discounted voting members and nonvoting visitors is open from March 18 through April 30. Late registration at a rate of $250 for voting members and $200 for qualifying discounted voting members and nonvoting visitors is open from May 1 through May 15. No registrations will be accepted after May 15. Registration fees are transferable but not refundable. Free registration to view on demand webinar.